On June 30, about thirty alumni from the late 1960s held a virtual reunion via the internet and across the continents. The reunion, organized by camp alumni Rabbi Carol Glass, Galya Greenberg and Ruth Tepper, was a wonderful opportunity for long-time friends to come together and share warm and funny memories of their summers together in Palmer. If you would like to plan a reunion for your edah or other camp cohort, please contact Rhonda Parker, Director of Development and Capital Campaign, at rhondap@campramahne.org or 781.702.5290 x225. For some of us, it was a trip we never expected to make: former campers returning to Ramah in Palmer, after more than 40 years!!! For others, the return was by the internet, from a restaurant in Jerusalem (and several more from locations in the U.S.). For everyone involved, it was filled with forgotten and not so forgotten memories, rekindled friendships and mischievous secrets wholly revealed. It was also a time to reflect on the significant impact that Ramah has had on our lives. 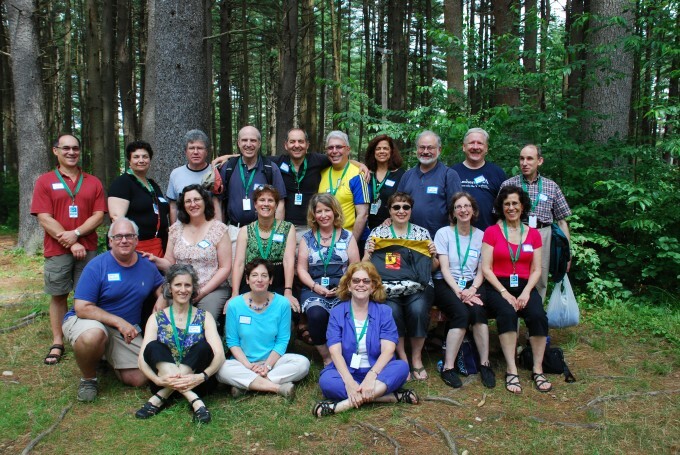 On Sunday, June 30, 2013, about thirty former campers, from the cohort that was in Senior LTF (now called Nivonim) in 1969, held a trans-Atlantic reunion which took place simultaneously in Palmer and in Jerusalem. For one hour, the two gatherings were linked by web cameras over the internet, and the stories, laughs, and happy stares at faces from the past went high-tech. Afterwards, the two groups took time to reconnect in their own locations. Originally envisioned by cohort member George Lipp as a gathering of friends from the edah who had made Aliyah, or who were otherwise in Israel while he was visiting, the idea morphed into a reunion in Palmer for those who could not be in Israel; and finally, the two groups decided to coordinate and link up. For months there was fast and furious activity to find fellow campers online, by word of mouth, and through social media. All totaled, the planners were able to come up with nearly 150 names of campers from 1965-69 who are within the cohort. It was possible to find contact information for about 80% of those names; and many who could not make it to the reunion were invited to send in pictures and personal updates ahead of time. The day at camp was very powerful. There was a tangible – and oh so joyful! — recognition that we are an ongoing community and camp is still our home, despite the years and the gaps in what and who we could remember. We’re already talking about take-two!